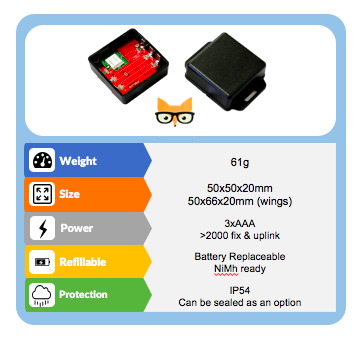 Foxtrackr CUBE product is a IP54 plastic box containing a Foxtrackr SQUARE circuit powered with 3xAAA battery capable of more than 2000 consecutive Fix & communications. The box can be sealed for a larger resistance to water projection and dust resistance. Foxtrackr CUBE is taking advantage of all the Foxtrackr Firmware capabilities. It can be integrated in your own solution as a white branded component : the data can be retrieve from our API to be integrated in your own backend or front-end base on Foxtrackr Cloud solution. 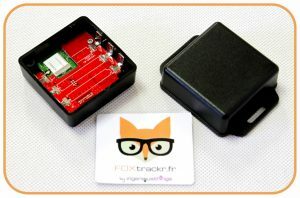 The Foxtrackr services is a complement to be added on devices other than Sample. Price is per device you own. The price range is given by the total number of device you own on the previous December 31th.